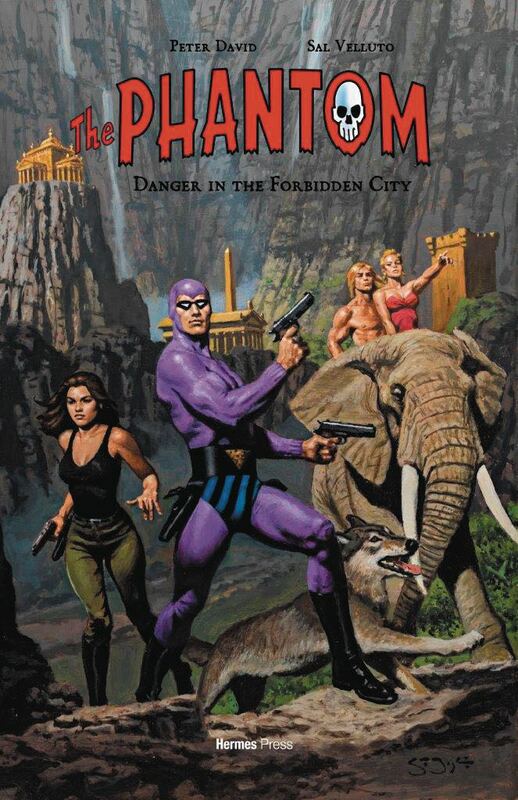 This six part mini-series written by Peter David with art by Sal Velluto triumphantly returned the original, Ghost Who Walks - The Phantom - to comic books and is now collected together as a deluxe graphic novel. This tale pits The Phantom against the Singh Brotherhood and their metal-handed leader who are intent on plundering an ancient fabled City of Gold. Only The Phantom, Diana and a new-found ally can stop them! Available both in Softcover and PREVIEWS Exclusive Hardcover editions. The exclusive hardcover edition, limited to 500 copies, features a painted cover by Sean Joyce, essays, documentary materials, unpublished cover art, all variant covers not available in general distribution; interviews, and more.